Posted on 1, February 2019 by EuropaWire PR Editors | This entry was posted in Business, Chemicals, Germany, Industrial, News and tagged Altamira, Ankleshwar, Anup Kothari, BASF, Bradford, coating chemicals, Grimsby, John Panichella, Kwinana, Ludwigshafen, MERGER, Nanjing, paper chemicals, paper wet-end, Solenis, Suffolk VA, VERBUND, water chemicals. Bookmark the permalink. 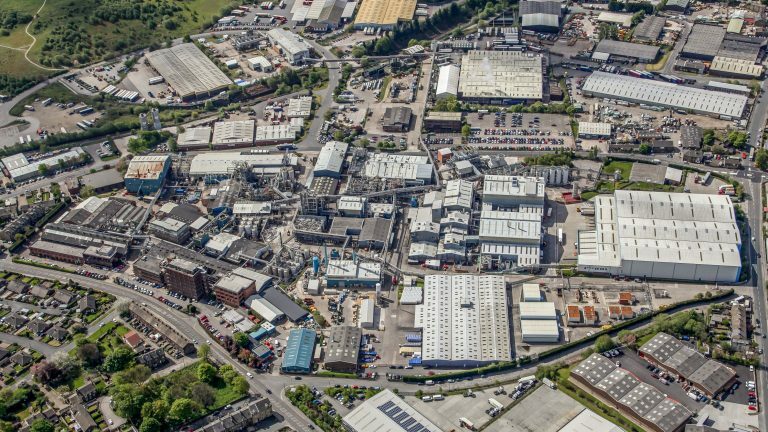 BASF’s Bradford site is one of the largest and most productive single site chemical plants in the UK. The site is approximately 50 acres with 11 main production facilities and approximately 600 employees. LUDWIGSHAFEN, Germany / WILMINGTON, Delaware, USA, 1-Feb-2019 — /EuropaWire/ — Authorities have granted approval for BASF and Solenis to complete the merger of their paper and water chemicals businesses. Originally announced in May 2018, BASF and Solenis have now completed the transfer of BASF’s paper wet-end and water chemicals business to Solenis. The newly merged business will run under the Solenis name as of February 1, 2019. The combined business will offer increased sales, service and production capabilities across the globe. 51% of the shares in the newly combined enterprise will be controlled by funds managed by Clayton, Dubilier & Rice and the Solenis management while BASF will hold a 49% share. The newly formed structure will have around €2.4 billion pro forma sales in 2017 and the combined number of employees will stand at 5,200. BASF is going to account for its share in Solenis using the equity method and include its share of the company’s net income in EBIT before special items and EBIT for the BASF Group. The paper and water chemicals production plants of BASF in Verbund in Ludwigshafen, Germany, and Nanjing, China, are not part of the merger deal and hence not transferred. They will, however, deliver products and raw materials to the combined entity under mid- to long-term supply agreements. BASF’s paper coating chemicals portfolio is not part of the transaction either.